I would like to begin this first message of the new year with Happy New Year wishes to all readers of this Bulletin! I would also like to reaffirm for 2019 our club’s resolve to improve the lives of children in Northern Thailand through our club projects focusing on Child Safety, Health, and Education. If you would like to help us by joining the club or by making a donation, please see the information at the end of this article. I will begin with the biggest news: we were surprised to learn this month that our regular meeting place, Hong Kong Lucky Restaurant, is closing at its current location. After February 28, they will be operating from the Hong Kong Lucky Restaurant at the Top North Hotel in the Old City just a few steps from Thapae Gate. Happily, we were invited to move with them and the CMIRC Board has accepted their offer. So, our March 5th regular CMIRC meeting will be at the Hong Kong Lucky Restaurant in the Top North Hotel. One big plus in this move is that our club regular and committee meetings will now be accessible for people with mobility issues. All of the space we will use is located on the first floor and is wheel chair accessible. Also, there is ample parking and the location is easier for newcomers to find. On December 4, we had our CMIRC Annual Meeting. This is the meeting when we elect our new officers and committee chairs for the 2019-2020 CMIRC Year which begins July 1, 2019. 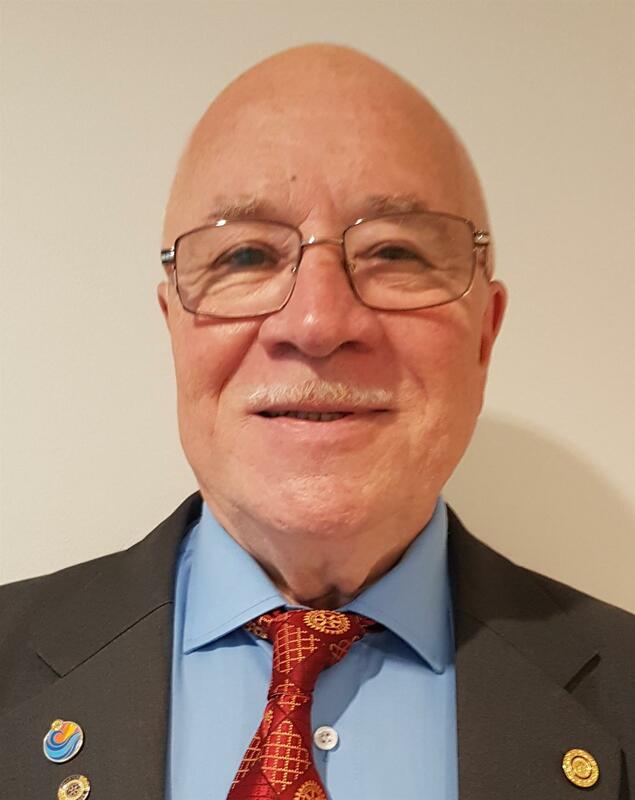 Our President Elect 2019-2020 is Colin Jarvis and our President-Designate for 2020-2021 is Clarence Shettlesworth. Other board-level officers for 2019-2020 are: Secretary, Jerry Nelson; Treasurer, Nancy Lindley; Sergeant-at-Arms, Nick Dale; Service Projects Committee Chair, Gary Herman; Membership Committee Chair, John Schorr; Foundations Chair, Clarence Shettlesworth; and Fundraising Chair, Shana Kongmun. 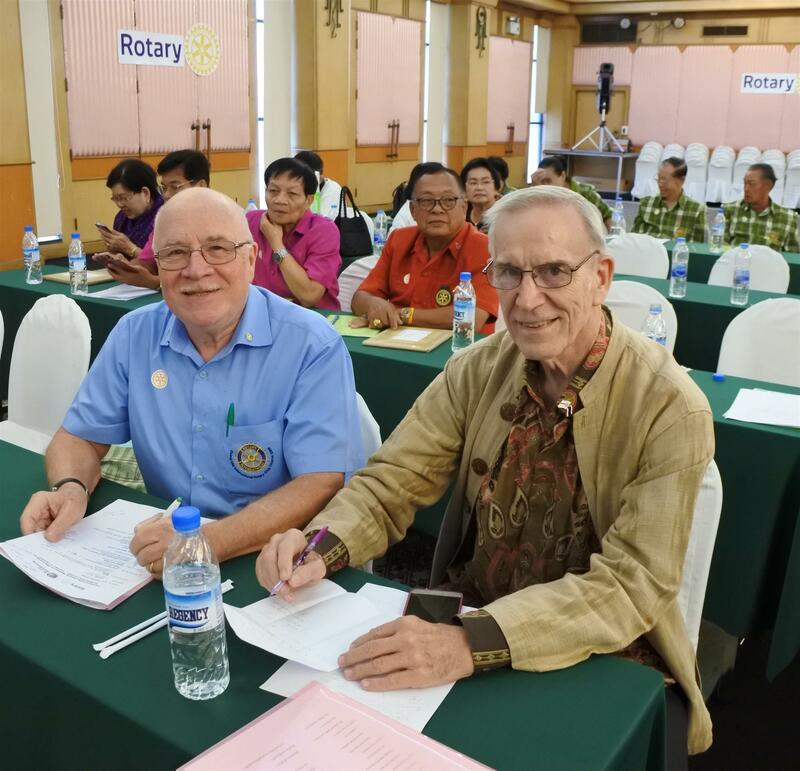 On December 23rd, President Designate, Clarence Shettlesworth and I attended the Rotary District 3360 Intercity Meeting in Uttaradit. It was a great opportunity to meet members of the 68 clubs in our district and to hear presentations from the District Governor, District Foundation Chair, District Membership Chair, and our colleagues Khun Chamnan and Khun Suparie from Rotary Club of Chiang Mai North. We are all looking forward to the next district-wide meeting, the District Conference in Chiang Rai, March 23-24. Speaking of meetings, members and guests may want to mark their calendars for the Chiang Mai Area Installation of 2019-2020 Rotary Club Officers. It will be on the 29th of June from 5 to 9pm at the Wattana Thai Payap School in Chiang Mai. Our club and the Rotary Club of Chiang Mai-Wattana are responsible for the planning of this event. This month we had the pleasure of welcoming Andrew Myhill, formerly of South Africa and now a full-time resident of Hang Dong, to our club. Andrew brings a wealth of business management experience to our club and we look forward to putting his enthusiasm and experience to good use! Finally, on a sad note, we learned this month that three of our CMIRC active members had to submit their resignations due to travel, family and business obligations. All expressed an interest in rejoining CMIRC as soon as possible and, of course we will be very happy to welcome them back. Linda Pfotenhauer, Wendy Morrish, and Bruce Lasky --we wish you all the best in the new year and hope to see you back with us soon. As the reader of this Bulletin will see, CMIRC is doing a lot of great work in our Northern Thai community, especially if you consider that we only have 23 members! So, the message this month ends again with an appeal to our readers. If you live in Chiang Mai or know someone who does, and you think they would be a good candidate for membership in our club, please let me know: john@cmirotary.org. If you wish to make an in-kind contribution. We especially need children’s toys, sports equipment, and school supplies, please contact president@cmirotary.org or 09 4856 3011.